Vice President Joe Biden speaks onstage at the GILT and Ashley Biden celebration of the launch of exclusive Livelihood Collection at Spring Place on February 7, 2017 in New York City. Former Vice President Joe Biden is planning to be in Maine next month to deliver Colby College's commencement address. The May 21 ceremony will be held on the lawn of Miller Library, weather permitting. It is open to the public. In case of rain, tickets will be required for admission to the gymnasium in the Harold Alfond Athletic Center. The event will be simulcast and available for viewing in the field house. 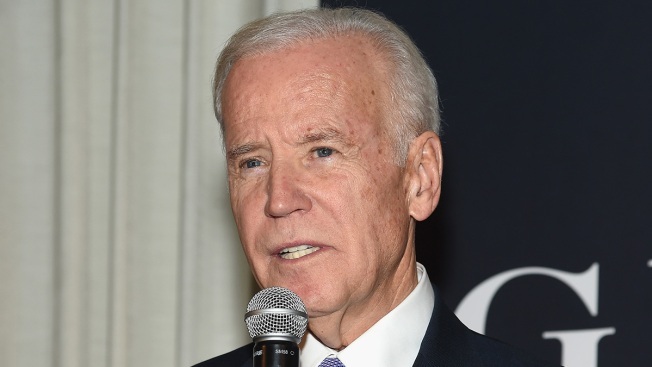 College President David Greene said Biden's life of public service has been marked by his commitment to equality of opportunity, global cooperation, human health, and violence prevention - all in a spirit of acceptance and bipartisanship. Biden served with Democratic President Barack Obama and is a former U.S. senator from Delaware.